What is the reservation season for El Paso County Parks? Our reservation season runs from April 1-Oct. 31st. Our regional parks are open from 5 a.m. to 9 p.m. and our community parks are open from Dawn to Dusk. Can I swim or boat in any of the ponds located on Park Property? We prohibit swimming and the use of any type of watercraft in our parks. Can I fly my Drone or RC Aircraft on Park Property? No, currently it is prohibited to fly drones or rc aircraft at any El Paso County Park property, this also includes all open spaces. Can I bring my dog or horse to your parks? Dogs and horses are welcome in all of our parks with the exception of the Paint Mines Interpretive Park and the Nature Center Trails. Do you allow alcohol in any of your parks? We prohibit the consumption of alcohol and/or illegal substances all El Paso County Parks. Do you have a shooting range at any of your park properties? No we do not, however the Cheyenne Mountain Shooting Complex is available and open to the public. For More information visit https://carson.armymwr.com/programs/cheyenne-mountain-shooting-complex. Can I open carry in the park? Park users may open carry firearms, however the discharge of firearms are unlawful pursuant to rule 8.4 of the Parks Rules and Regulations. Firearms shall include any pistol, revolver, rifle, shotgun, air gun, gas operated gun, spring gun, or B-B gun, whether loaded or unloaded. Law enforcement officers are the only personnel exempt from this rule. Do I have to reserve the Tennis Court or Archery Range if I want to use them? No you do not, therefore you are more than welcome to use them on a first come first serve basis. I am interested in joining the Bear Creek Community Gardens who is the contact? Do I have to reserve a pavilion to have a picnic at the park? All pavilions may be used on a first come, first serve basis, however patrons who have reserved a pavilion have priority. Persons using a reserved pavilion will be asked to leave. If you would like to reserve a pavilion you can do so by visiting http://communityservices.elpasoco.com/facility-reservations/. I would like to use your field for my team’s soccer practice; do I need to reserve it? Yes all organized sports leagues must reserve the fields and provide proof of insurance and pay a damage deposit. For more information call 520-7529. Can I have my wedding in any of your parks? Yes you can. Please be aware that if you are using the Wedding Gazebo at Fox Run, the Fields or the Pavilions, we strongly suggest a reservation. We may also require a permit for your event. 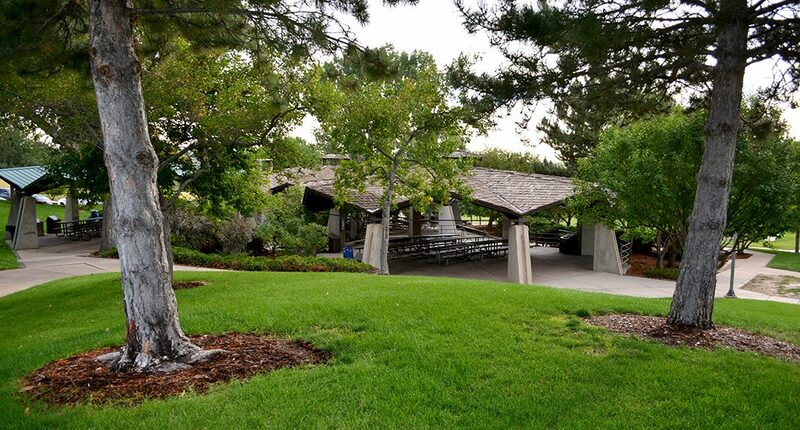 Please call the office if you are planning a wedding in an El Paso County Park. We are having my child’s birthday party at the park, and we would like to bring a bounce house. Do we need to do anything special? We consider a pavilion rental with a bounce house to be a special event; therefore, you will need to obtain a permit from our office. We must have 30 days advance notice and there will be some processing fees included with your regular reservation. For more information call (719) 520-7529. Do I have to keep my dog on a leash in your parks? Dogs must leashed at all times, with the exception of the designated Dog parks. Please note dogs and horses are not permitted at Paint Mines Interpretive Park due to the delicate nature of the park. Can I camp overnight in any of your parks? Camping is restricted to the Fallen Timbers Trailhead area at Fox Run Regional Park; therefore, a Special Event permit can be issued only to a non-profit or community service organizations, with approval. We do not permit public camping in any El Paso County Park. Do the pavilions have electricity? Electrical outlets are available in select facilities; however, usage may not exceed 15 amps. If you exceed the amperage it may cause a blown fuse; consequently, park staff will be unavailable to provide a fix. We do not guarantee electricity with any pavilion reservation. For more information on any of the above questions contact the Park Administration office at (719)520-7529.